Use profile to make your mark. AN ABUNDANCE OF TALENT. ONE VISION. EVOQ. evoq is an owner-run, independent agency based in Zürich and Cologne that specialises in the development, implementation and ongoing communications of successful brands. It was founded in 2007 and is a member of the Alliance of Swiss Advertising Agencies (asw). The world is in a constant state of change, and this applies to the sector of communications in particular. As such, we regard ourselves as a communication agency in the broadest sense and maintain an interdisciplinary approach. evoq is synonymous with variety. Across two locations, roughly 30 consultants, designers, copyrighters and programmers deliver a wide range of services for customers from almost every sector – from public transport and telecommunications right through to NGOs. 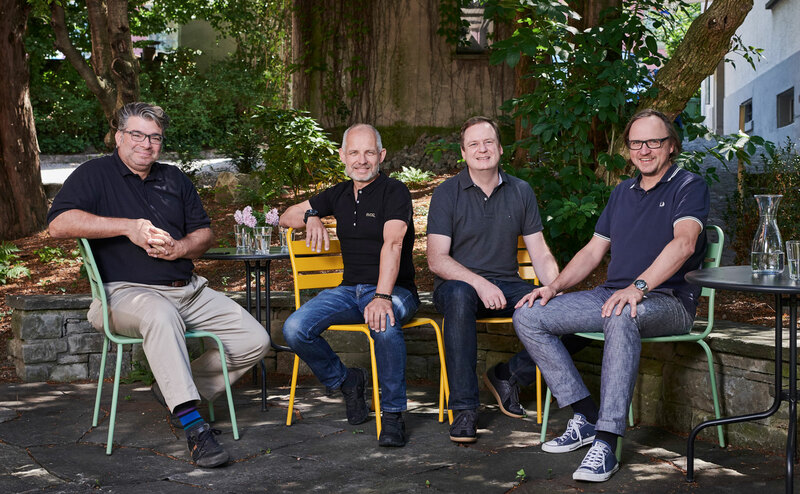 From left to right: Ralph Kaebe – management board and owner of evoq Deutschland GmbH | Adrian Schaffner – management board and owner of evoq communications AG | Dominique Haussener – management board of evoq communications AG | Christian Sutter – management board and owner of evoq communications AG.